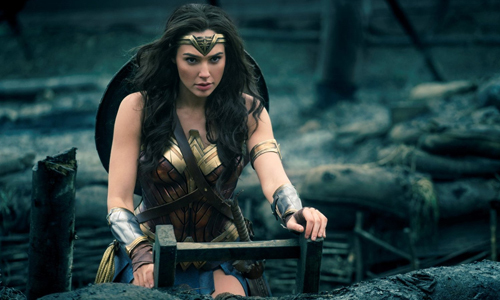 This was mentioned in my review of Batman v. Superman: Dawn of Justice, but it bears repeating: remember when the internet flew into a rage at the casting of Gadot as Wonder Woman, and she ended up being one of few bright, indisputable aspects in what's otherwise a polarizing film? That glimmer of an appearance was enough to anticipate her own standalone story, especially once that'd properly trace her origins, even if we've been overdosed on "Fill-in-the-blank Begins" style of movies over the years. 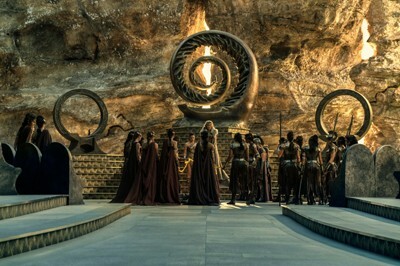 This time, it's deserved, as there's a compelling and fantastical story behind the creation of Diana. 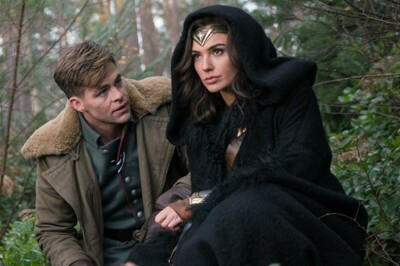 Traveling back roughly a century to the period of WWI, Wonder Woman reveals how the heroine was created under the watchful eyes of Grecian gods, how she trained to become a powerful Amazonian warrior initially against the wishes of her mother, Hippolyta (Connie Nielsen), and how the warfare of the outside world crashes into the Amazons' hidden island sanctuary … as well as how Steve Trevor (Chris Pine), a pilot who accidentally drops into their homeland, guides Diana toward battle in search of Ares, the God of War.